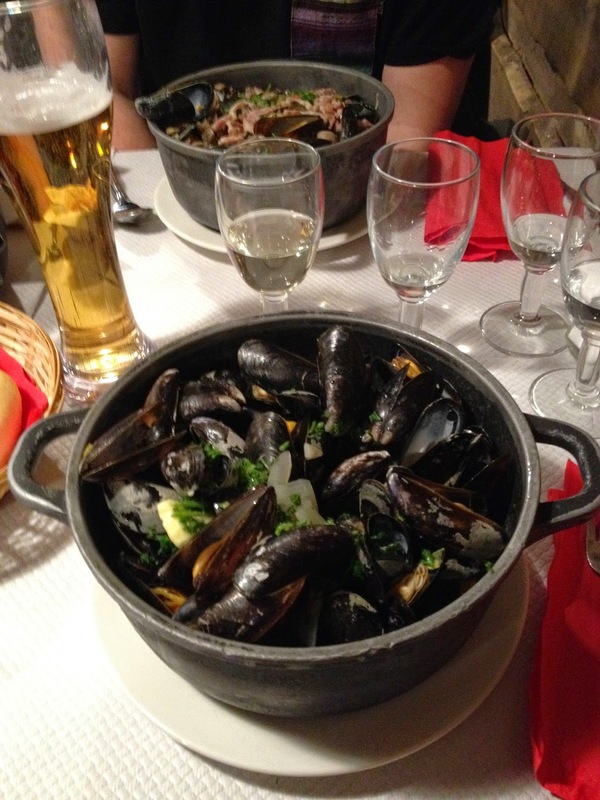 I've been in France for a month now, and in our apartment for a little over two weeks, so I thought a summary of both the highlights and lowlights so far would be in order. I present: Top 5 Wins and Fails of January-February 2015. I'm happy to report that (according to Alex et al) my French is improving already! I can understand way more of what is being said than when I arrived, and I'm piecing together more complex sentences for myself too. It's so much more interesting learning French here, with native speakers (no offense to my former teachers at SLP or AHS), while being surrounded by the language on a daily basis. It feels like a real win every time I can translate a sentence, or even just a fast food ad, in my head. I would especially like to be able to interact with the greater environs of Lyon and its inhabitants without stuttering through incomplete, fever dream-esque sentences. A girl can dream, right? Now, all that being said, what was I thinking, signing up for 2.5 hours of French class that starts at 9:30 am, Monday-Friday?! AND THEN, another 1.5 hours in the afternoon?! I paid for 10 days of classes, today is day number 7, and I've gone 5 times so far. Yeah, not the best use of my Euros. Especially knowing that I had trouble motivating myself to go to Normandale twice a week for just an hour and a half... The phrase "Know Thyself" comes to mind, and it's exhorted for a reason. I'm definitely switching to afternoon/part-time/evening classes instead of pretending that I'm motivated enough to commute to school every morning. Okay, I expected this to be a win before I got here, but MAN I love the food! 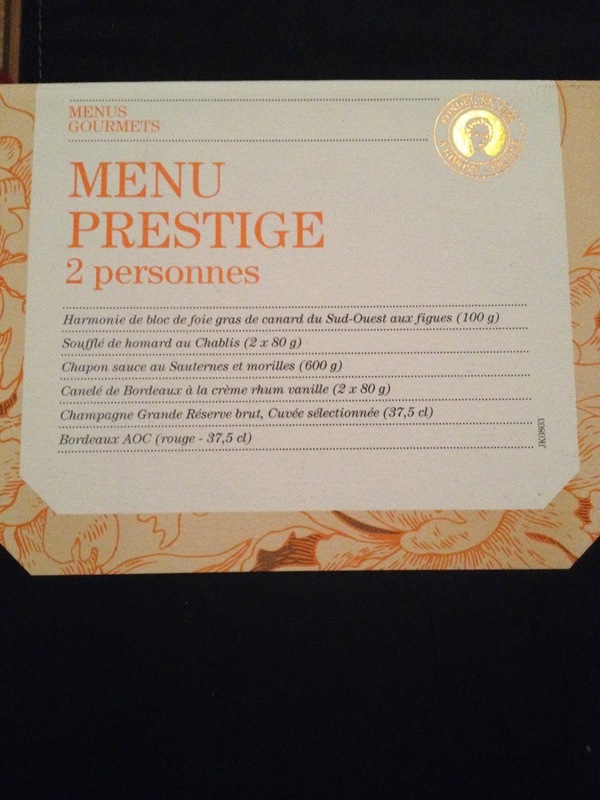 Everything from moules-frites (above) to poutine and a "menu prestige" that Alex cooked (below) - I love it all! At this moment we have 3 different cheeses in the fridge, and I'm not talking about a selection of low-fat mozzarella sticks - we got chevre, roquefort, and a dry cow's milk cheese. As for dining out, the options are overwhelming. We ate ramen at a wonderful Japanese restaurant a couple streets over, burgers with bacon and French cheeses at a place down the block from there, and salmon and lamb at a little bistro that is run entirely by the owner (food prep, service, payment, everything) and only opens for 2 hours of lunch service each day. 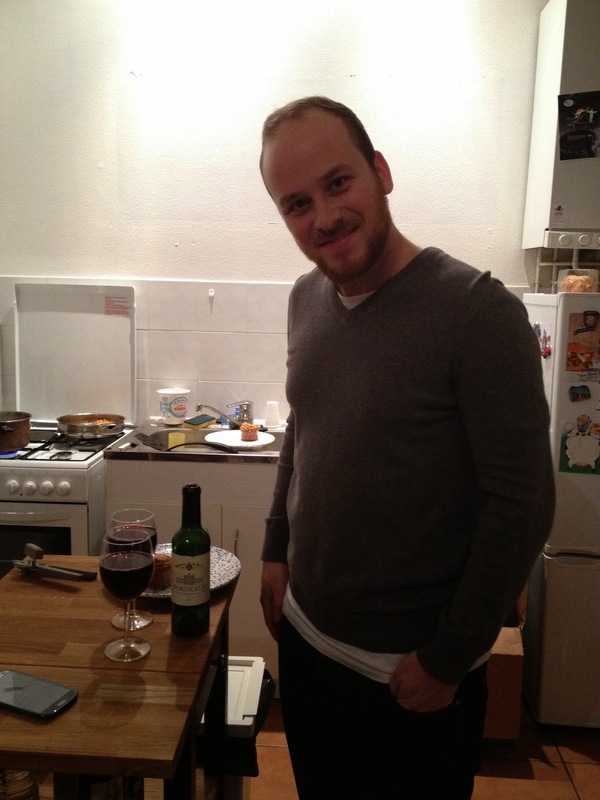 We are living in a food paradise, and I'm so lucky that Alex can cook a helluva meal too. In other words: what else could I possibly ask for? 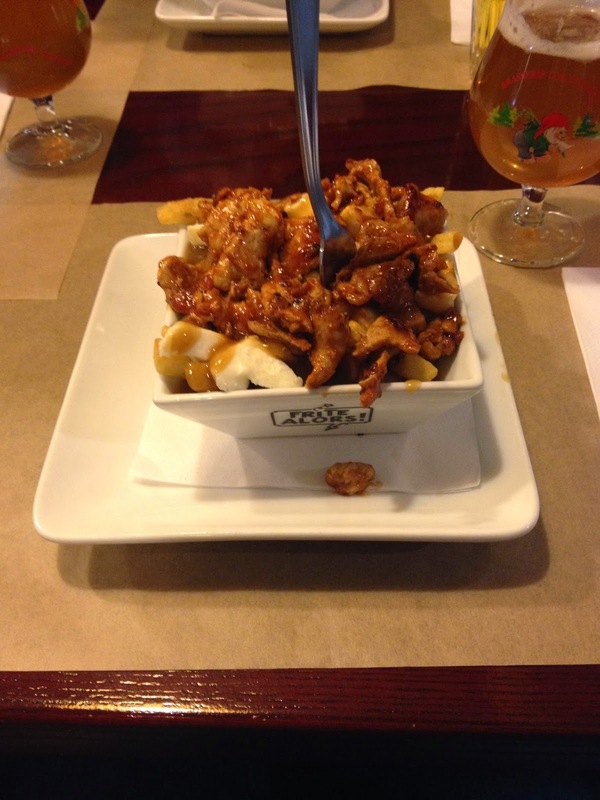 Poutine with pork and BBQ sauce at Frites Alors! I gotta be honest: I miss my friends and my dog!!!! Like, SOOOOO much!!! We just got internet yesterday, so now I can finally Skype again, but it's been a rough couple of weeks with just texting and a phone call here and there. (Note to my Mpls peeps - see you in a month!) And I do really love our little house, but it will be way better when there are four paws clicking around the place. 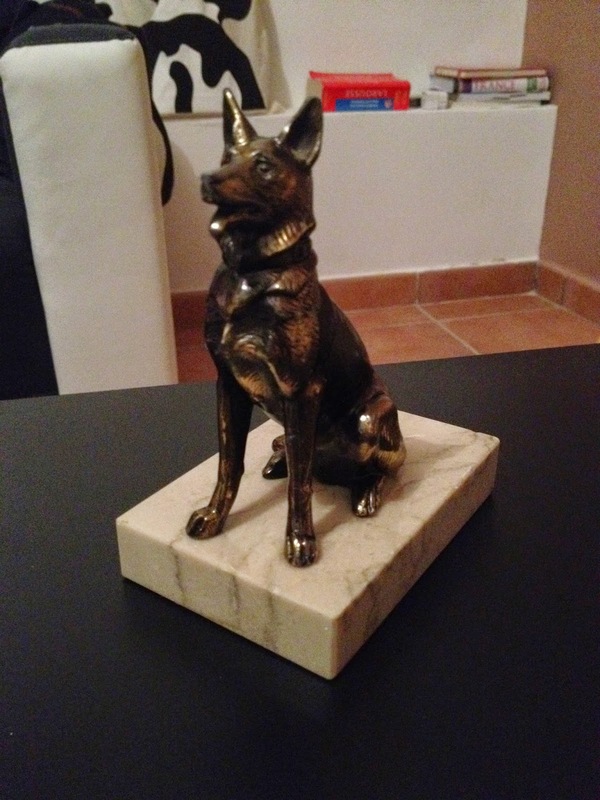 I've been pointing out every dog that I see (sometimes in stores which is awesome) and I even bought a little German Shepherd statuette that I insisted on keeping on the coffee table. I'm extremely pleased with how easy it has been to make our home "ours" (pics to come when it's less messy) and I feel like I'm becoming a real resident of Villeurbanne/Lyon. I have my very own transit card (I love you, metro! ), a loyalty card at the nearby Casino supermarket, a French phone number, and we have our names on the mailbox. We also went to an English-speaking meetup at an Irish pub last week where we met two Americans and a Scot. Yay for making new friends! So, all in all, there have been challenges along the way, but things are headed in the right direction. I think I need to find a new French school, go shopping (for both pleasure and language practice), and most importantly, work on my patience. Rome wasn't built in a day, and neither will be a new life abroad!